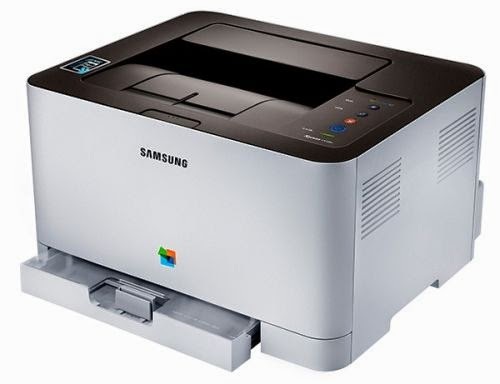 Samsung has recently introduced the NFC-enabled colour laser printer and multi-function printers (MFP) Xpress C410W series, pioneering the mobile printing solution and NFC printer market in Malaysia. "Print directly from your smartphone" - Launching of the Xpress series printers. With the innovation in Samsung's mobile printing solution, users are able to print high quality photos and documents from their smart devices (smartphones, tablets, etc) with ease. The new printer Xpress C410W series consists of the C410W colour laser printer, the C460W colour laser MFPs with print, copy and scan functionality and the C460FW colour laser MFP with print, copy, scan and fax capabilities. These three models are able to print up to 18 pages per minute (ppm) in black and white and four ppm in colour. The Xpress C410W series printer is easy to set up with just three quick steps without the need for a USB connection between printer and computer. The Xpress C410W series connects wirelessly with mobile devices via WiFi-Direct, allowing users to effortlessly and securely print pictures, documents, e-mails and web content by simply tapping their smart devices on the printer. With Samsung Mobile Print app, users are able to print everything from PDF files to Microsoft Office documents such as Excel spreadsheets and PowerPoint presentations directly from their smart devices. Samsung Malaysia Electronics said these printers are intended mainly for mobile enterprises, SMEs, and entrepreneurs. "Our latest printing solutions are grounded in business owners' desire to print photos and documents directly from their smart devices. As enterprises rapidly expand their businesses, we want to empower them with innovative technology that helps them to evolve and grow their business with a competitive edge." - Samsung Malaysia Electronics president Lee Dong Yong. The Xpress C410W series connects wirelessly with mobile devices for fast, integrated and convenient printing on the go. Users can effortlessly and securely print pictures, documents, e-mails and web content by simply tapping their smart devices on the printer. Scanning and faxing documents is also made easy as users are able to sync the contacts on their smart devices with the printers. With Samsung Mobile Print App users are now able to print everything from PDF files to Microsoft Office documents such as Excel spreadsheets and PowerPoint presentations directly from their smart devices. Owners of Samsung's Galaxy smartphones and Galaxy Tab series will be able to print images from the gallery app, documents, email and web browser pages. TheGreenMechanics: Pretty competitive pricing for laser printers, but I've read somewhere that NFC printing on the Xpress printers is confined to Samsung smart devices only and Apple smartphones are not supported. This should not be too big an issue though, as WiFi direct printing is supported by Samsung Mobile App for Android, iOS and Windows. One downside is the costly toner. At the time of posting, colour toners (3 toner per set) costs $54.99 (about RM178) and black toner costs $63.99 (about RM207).